According to the U.S. Food and Drug Administration, romaine is free of saturated fat, sodium and cholesterol. It's also low in fat and calories and high in vitamin A and a good source of folate. Romaine is most often used as a base for salads, but it makes a great topping for sandwiches as well. It can also be grilled or cooked. Romaine is high in folate, which has been shown to help prevent neural tube birth defects. 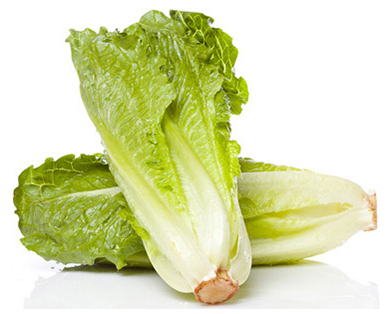 Romaine contains vitamin A, which helps to protect your eyesight.